You want to decorate your kitchen with some potted plants, but you also want some creative and rustic ideas on how to hang them. For people who do not have a lot of space to place potted plants, there is always the possibility of plant hangers. And if metal or wood is not your thing, you can try making some out of rope. They are really easy to make and allow you to get crafty as well. 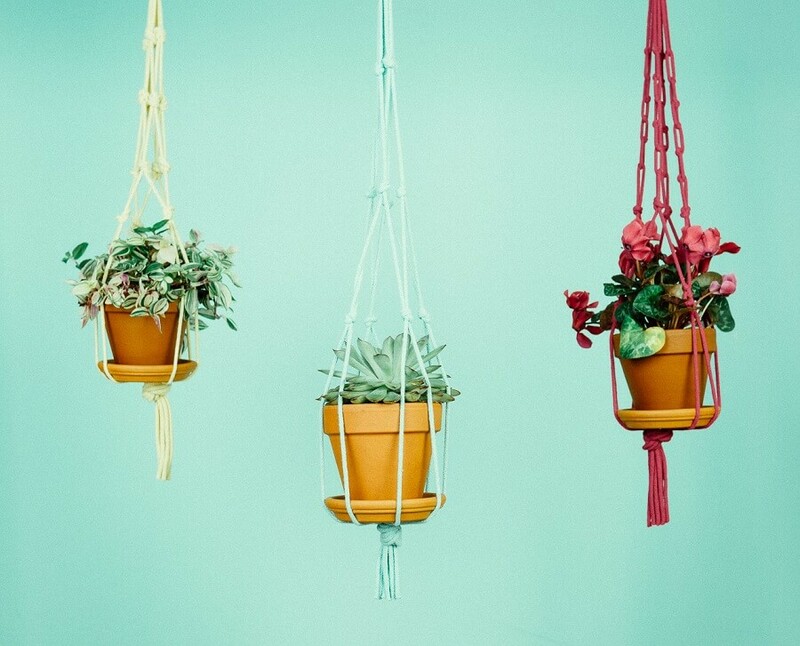 Without further ado, let’s look at 5 rope plant hanger ideas to keep in mind. Do you have some pieces of doily or embroidery laying around? 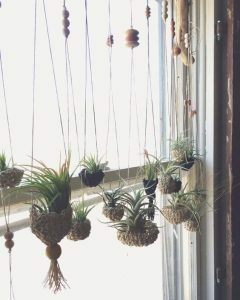 Why not repurpose them and create a beautiful rustic rope plant hanger? All you have to do is saw two pieces of doily together. Then saw some strings on each side of the doily and just place your pot inside of the little pouch that has taken shape. Then hang the strings wherever you want in your house. Simple and easy. 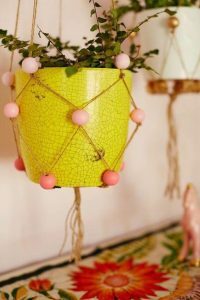 If you are a really handy person and you know how to crochet, then you will love this rope plant hanger idea. 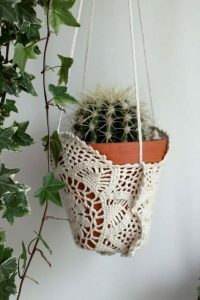 You can select any color of rope you want and crochet a little pouch the size of the pot you want to hang. The great thing about this idea is that you can make any design you like, even mix colors. And if you are looking for inspiration, there are plenty of crocheting designs on the Internet. Complete the design with some ropes tied on each side of the pouch and just hang it in your home. The plant hangers made of macrame are pretty popular nowadays. So if you want one for yourself, here is a tutorial showing you the basic knots that you can do with macrame. Starting from this, you can think of designing an extensive plant hanger that you can secure with a wooden stick at the top. 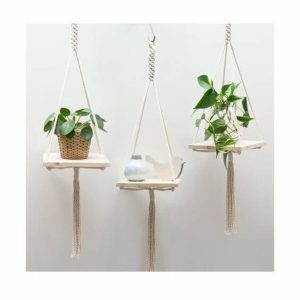 Even if this idea will take more out of your time, it will be a piece of decoration in itself, not only a rope plant hanger. 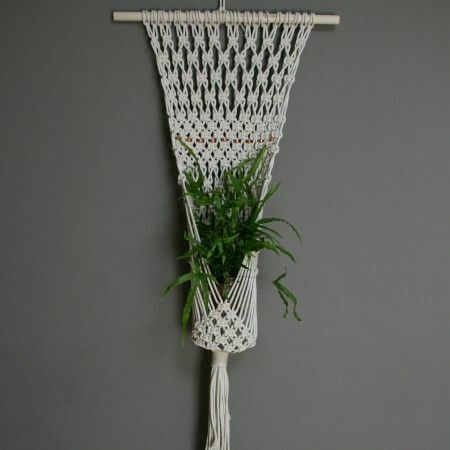 Still based on the knotting technique of macrame, you can spruce things up a little bit. Just add some beads to the entire design. You can find colorful beads at any craft store, and they are not expensive. Just choose a color that complements the color of the pot and that of the rope, and get crafty. If you want to create little suspended shelves for your potted plants, then we suggest you try this combination. You can secure small pieces of plank with sturdy ropes. Then hang them from the ceiling or from a nail in the wall. For this design too, you might need to be familiar with the knotting macrame technique. But you can think of other ways to secure the planks with rope as well. We hope our 5 rope plant hanger ideas have inspired you to decorate your home with some hanging plants and get your creativity running at the same time. I spend my time in my garden trying to create the greatest outdoor space possible. My garden is my happy place and where you will always find me on a nice day. I take my experience and share it here for you to read!